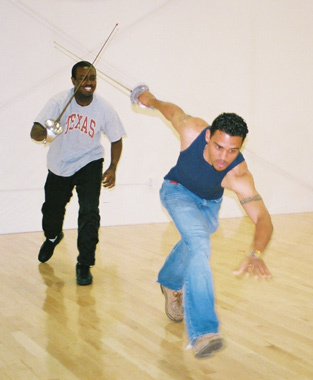 In April/May 2004, PRFDance received a super Sword Fighting Workshop in preparation for our performing company production -- Celebrando 2004 "The Pirates of Puerto Rico." In this production, we debut an exciting, original musical about the Pirate Cofresi (circa 1824), our Puerto Rican "Robin Hood" who would attack the Spanish Galleons and other big ships and give the treasure to the poor. 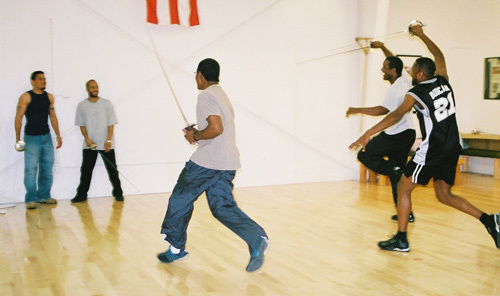 Tina Gramann, Zachary Scott Theatre's Stage Combat Teacher/Fight Choreographer, correctly trained our dancers on exciting but safe swordfighting techniques and choreographed a battle scene to the explosive sounds of Plena! 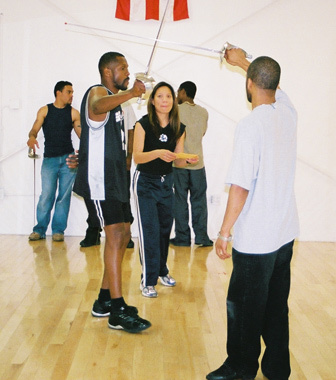 We had an amazing time with Tina who is four times recognized by the Society of American Fight Directors in Unarmed, Single Sword, Broadsword, Rapier and Dagger. 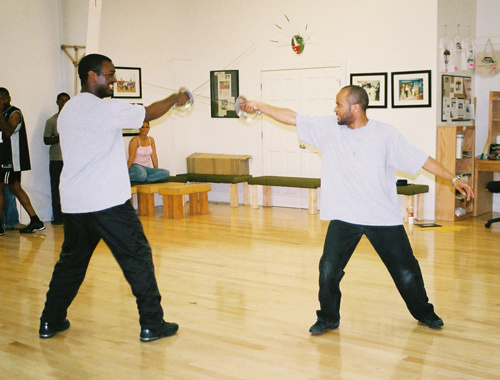 This workshop was funded in part by the Texas Commission on the Arts and the City of Austin Arts Commission. Enjoy these memories!